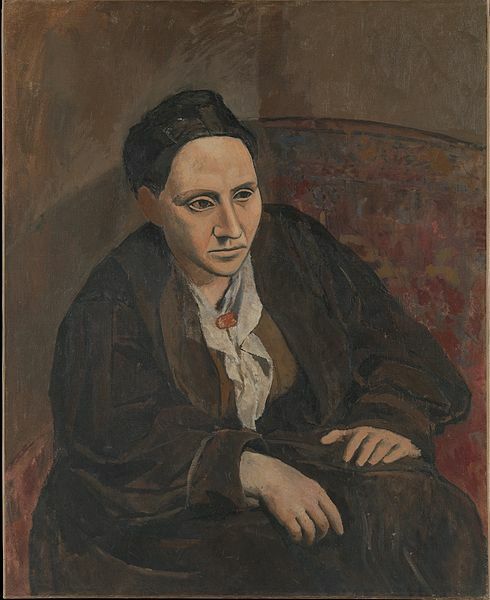 I was reading about Gertrude Stein and her legendary salons in Paris, where she hosted the likes of Picasso, Hemingway, Fitzgerald, Sinclair Lewis, James Joyce, Ezra Pound, Thornton Wilder, and Matisse. (One hopes some ladies came, too, but I guess all the recognized Great Thinkers at that time were dudes, aside from the occasional lesbian power couple like Gertrude and Alice B. Toklas.) It inspired me to think about a couple of things: 1. I wonder if anyone is having such salons right now where future Great Thinkers are and they don’t even know it. 2. I wish I were around and lucky enough to be at Gertrude’s place back in the day. 3. Why can’t I have a salon? I know lots of smart people. The answer to 3 is along the lines of: I don’t live at 27 Rue de Fleurus or anyplace roomy enough to house Matisse paintings and the crowds who would gather to see them. However, small salons or dinner parties may be on the docket for the fall. Laurie Sandell: I did one! It was SO MUCH FUN. I invited about 30 people, and had my musician friends play one or two songs each, and there were two short readings (too many readings are a party-killer). People could not have enjoyed it more. Oh, and I made a ton of food. First hour was mingling and eating, and then everyone gathered round in the living room for performances. A.K. Whitney [who is based in L.A.]: Oh… can I join you via Skype? Heidi Wallick Leonard: Love this question! Have always wondered too, with an eye to starting/participating. Hope you go for it. A.K. Whitney [clearly starting the mingling already] : Heidi, did you go to Wilson High in Long Beach? Class of ’89? Heidi Wallick Leonard: Hi – I did! Class of ’87. You too? Gertrude and Alice’s home, photo from the SF MOMA. Learn to Sell Your Big Book Idea, Finally! I am not sure where you are from, and realize this was posted about 4 years ago. But if you decide to host a salon night please email me & I will be there.